You can map the SmartVault Drive on Microsoft Windows 7, Windows 8, Windows 10 or later, Microsoft 2008 and 2012 Servers, and MAC OS X. 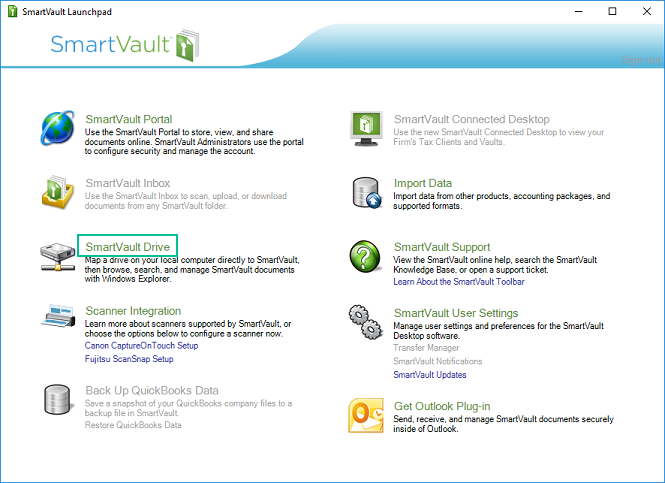 The SmartVault Drive is compatible with Windows 7 or later, Windows Server 2008 or later, and Macintosh OS X 10.5 (Leopard) or later. 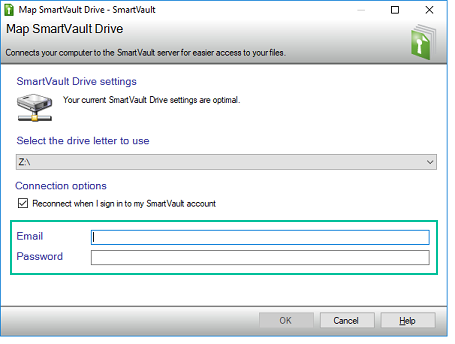 Only User and Client licenses can use the SmartVault Drive. Note: Consider using a third party WebDAV client if you often upload or download files in bulk to or from SmartVault. 1. Open the SmartVault Launchpad. 3. Enter your email and password, and then click OK. The drive is now mapped and ready for use.